Made from a single-celled fungus, brewer’s yeast has been used as a nutritional supplement for years because of its high levels of minerals, such as protein, B-vitamins (with the exception of vitamin B12,) selenium, and chromium. Known for assisting with a variety of ailments such as diabetes and high cholesterol, brewer’s yeast is rich in several B vitamins which work to aid in digestion, support the nervous system, and keep the hair, skin, eyes and liver healthy. How Does It Work To Help Fight Acne? While rich in a variety of minerals, there are two specific trace minerals in brewer’s yeast which work to keep skin healthy, possibly improving acne. These minerals are selenium, and chromium. Selenium works to help the body produce antioxidant enzymes, which work to help prevent cell damage by protecting and nurturing them. These antioxidants also promote cell turnover, which can improve both the health and appearance of the skin. Chromium works to help the body maintain balanced blood sugar levels, which may assist in reducing the effects of the acne cascade on the body. Acne is typically caused by a hormonal imbalance, which triggers an overproduction of sebum, or oil, by the sebaceous glands. This excessive amount of oil can become clogged within a pore, and when combined with dead skin cells, creates bacteria, which leads to acne symptoms, or pimples. Some believe that when our insulin hormones kick into high gear, other hormones may become knocked off balance, triggering this cascade, and resulting in breakouts on the surface of the skin. What Are The Best Ways To Use Brewer’s Yeast? As a systemic supplement. The simplest way to take brewer’s yeast is orally, as a dietary supplement. It is recommended to add up to two tablespoons per day to food, or you can mix well in a glass of water or juice, but keep in mind that it does come with a naturally bitter taste. Taking brewer’s yeast systemically can help deliver a healthy dose of essential B vitamins, including B3, or niacin, which is known to reduce inflammation. This is an important player in the fight against acne, as those red, swollen breakouts you see on your skin are actually an inflammatory response to the bacteria created within a clogged pore. As a topical mask. You can also use brewer’s yeast to form a simple yet effective mask to apply to the surface of the skin. Simply mix one teaspoon of powdered brewer’s yeast with one teaspoon of milk or plain organic yogurt. Apply to clean skin, and remove with a cloth and lukewarm water once the mask has dried, usually after about 10-15 minutes. The brewer’s yeast will work to gently absorb excess oil and tighten pores, while the lactic acid found in the dairy will make for a mild exfoliant, revealing a calm, clean complexion. While brewer’s yeast comes with a wealth of benefits, there are a few precautions to take before adding this supplement to your skincare routine. Brewer’s yeast, like many dietary supplements, can interact with other medications you might be taking, and anyone currently on a prescription regimen to treat diabetes or Crohn’s disease should be especially cautious and consult your physician first to avoid a harmful medical mishap. Fortunately, there are other alternatives to help ensure the health and clarity of your skin, such as AcnEase, a systemic, herbal acne alternative that works to actually treat the condition of acne. 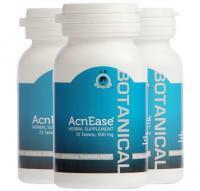 Targeting acne at its source, AcnEase treats existing symptoms from mild to severe, while preventing new acne from forming, and unlike brewer's yeast, AcnEase does not interact with additional medication, and has no side effects, making it safe for anyone to use. We want to hear from you! 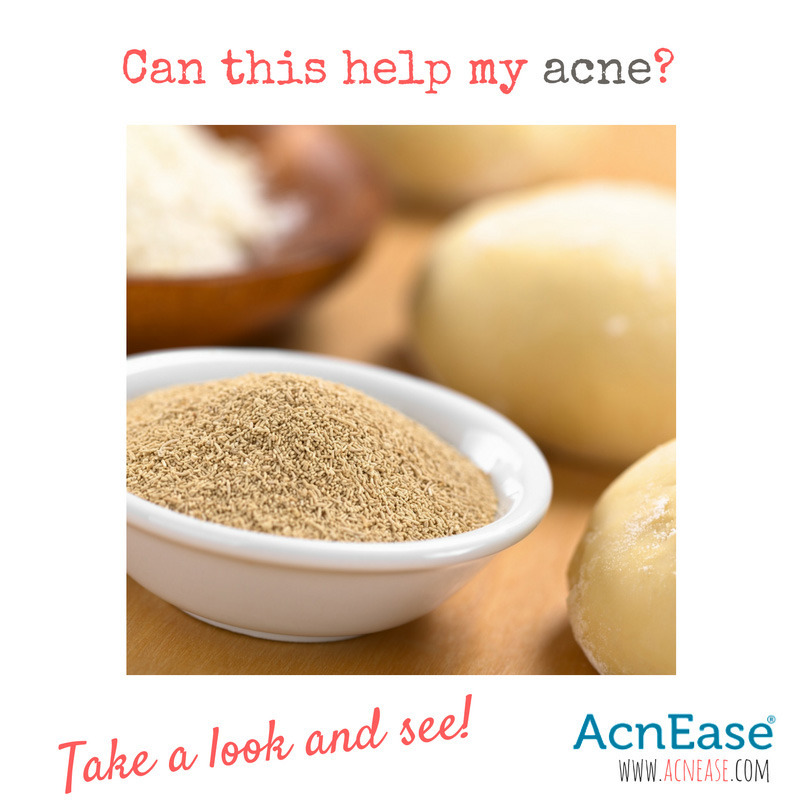 Have you ever tried brewer’s yeast for your acne? What’s your favorite way to make it work for you and your skin? Tell us in the comments!